Cater to your indulgent side without ignoring your practical side. The Premier 6042 is a well-appointed combination tub that supplies the curative benefits of hydrotherapy and soft tissue massage with the advantages of Comfortflo’s quality construction. 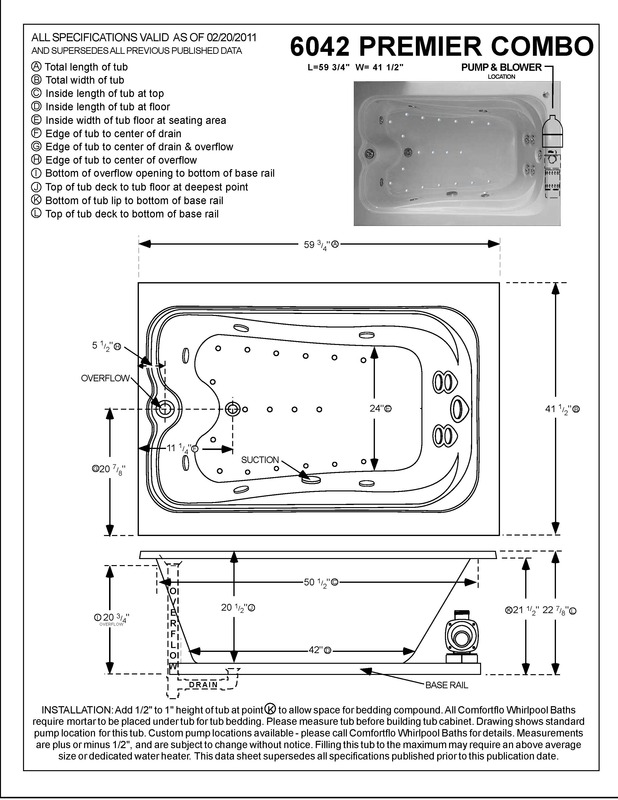 The configuration of the Premier 6042’s recessed back jets zones in on the neck and the upper and lower back on each side, producing spa-grade hydrotherapy in your bathroom. Eighteen air injectors situated in the tub floor generate massaging bubbles. The reclining back and softly curved armrests are seamlessly integrated into the design of the Premier 6042, lending the tub its streamlined finish. Its generous 42-inch width makes it feel spacious. 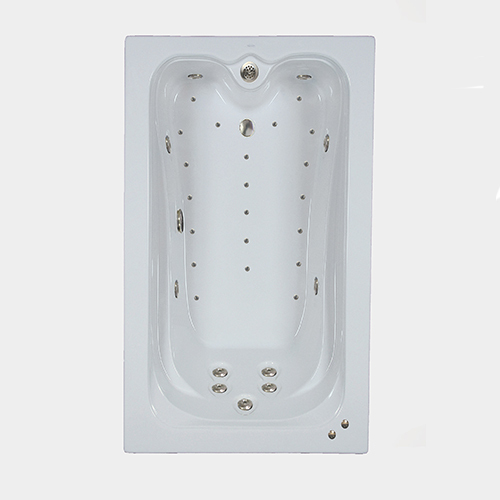 The other end of the tub has two curved hollows, each with a jet and air injector to massage your feet. It also houses our unique Top Overflow, which allows for greater water depth. Four more whirlpool jets, two on each side, ensure that your entire body is covered by a jet. All of this backed by our most powerful whirlpool pump. The Premier 6042 combination tub produces the consummate spa experience in the privacy of your home.